Arshya Vahabzadeh M.D. is a Harvard-trained subspecialist psychiatrist who works at the intersection of academic medicine, clinical practice, and neuro-technological innovation. He is currently a practicing psychiatrist, as well as the Chairperson of the Council on Communications for the American Psychiatric Association; the Innovation Officer for the MGH Psychiatry Academy, the largest psychiatric education provider in the United States; and the Site Director for Brain Power, a neuro-technology company. 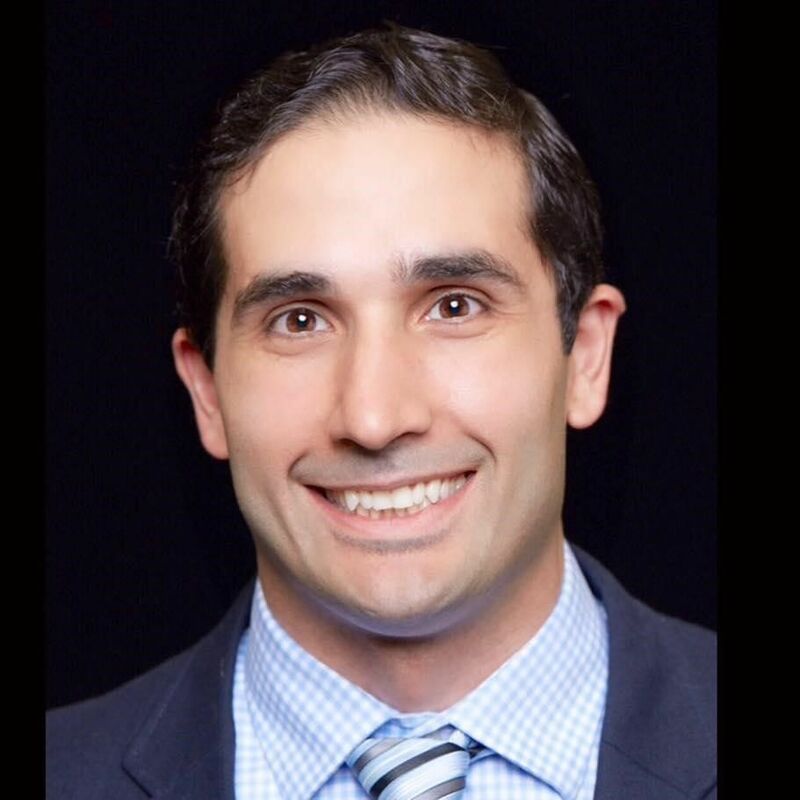 Aside from practicing medicine, Dr. Vahabzadeh is an advocate for both professional and public education around psychiatry, clinical neuroscience, and the role of technology in improving mental health. He has won over 20 national and international awards, and he frequently speaks at medical innovation events all over the world. When I was a kid, my passion was space travel - I wanted to become an astronaut. But after several growth spurts, that dream faltered (much like funding for the space program!). Then someone told me that the brain was actually the most complex network in the universe, more complex than space itself, even. I was sold. Today, working as a psychiatrist is the closest I can get to understanding the unknowns of the human brain and mind. While current technologies only afford us the briefest of insights into the hugely complex workings of this incredible tangle of neural networks, it’s amazing to me that our brains have control over almost everything we do, from our breathing, to when we need to sleep, to who we find attractive. As a physician, I believe that helping people with brain disorders is one of the greatest challenges in the house of medicine. I can’t imagine doing anything else. What do you see as the future of psychiatry? I have no doubt that we’ll see dramatic advances in both neuroscience and data science very soon, advances that will radically change our ability to understand psychiatric disorders and the brain. I think that we’ll especially see rapid developments in how technology is used to help manage stress and mental wellness. Part of our growing role as psychiatrists is going to be helping our patients navigate these technologies well. While innovations are exciting, though, I’d also say that physicians must pay equal attention to delivering services to the people who need it today, not tomorrow. Unfortunately, there are many therapeutic and rehabilitative strategies, including community interventions, that are known to be highly effective, but continue to be considerably underfunded. Can you share your background on how you got to where you are right now? How was the transition from a purely clinical role to a combined clinical, academic, and entrepreneurial role? Since I started medical school, I’ve worked in almost every area of medicine, and I think that’s been incredibly important for shaping my career. I’ve treated almost every population - from children, to the homeless, through to some very influential public figures. During my first year out of medical school, I was a resident physician at the Queen Elizabeth Hospital (it still had the old nightingale wards of the Victorian Era! ), and I was also a resident surgeon treating the British Special Forces brought home under the Royal Centre for Defense Medicine. These experiences helped me when I worked with military veterans almost a decade later in the United States. But it was after that year that I decided to specialize in family medicine. Wanting to further specialize, I spent over a year learning psychiatry as well under the Royal College of Psychiatrists before moving to the United States. As far as managing all of these different pieces of my career - practicing medicine, and also working as an entrepreneur and in leadership - it can be difficult. One of the most important attributes for success that I’ve found, since that first year out of school, is being adaptable. Clinically, working as a psychiatrist can be an extremely challenging role. On the exterior you aim to be calm, almost serene, yet the job requires a tremendous amount of emotional, physical, and mental processing and control. I’ve also found that mentors make a huge difference while jugging many balls. Where I am and what I do are a reflection of my mindset. I seek the truth, and I surround myself with truth-seekers. I have learned a tremendous amount from every one of my mentors - they have all taken different roads, and have helped me to avoid major potholes, or at least to learn from them. I have also learned that sometimes you have to throw caution to the wind and go off-road. What is your advice for medical students? First, be a self-starter. Nobody I’ve met feels quite able to keep up with the rapid change of pace that we are witnessing in medicine, and especially not within our educational systems. So find out what areas stump you, and find someone that can help you, or buy an audiobook about the topic. Teach yourself things about the system. Along those lines, I also think it’s important to study the trajectories of those who have achieved the things that you want to achieve. If there are no people that fit that description, study Elon Musk. Second, look beyond medicine for inspiration. The biggest disruptive changes on the horizon are coming from outside of medicine, from people and companies who think outside the box. What these people say might make you feel defensive, but if you’re able to move past that, you will learn an enormous amount about how we can change medicine for the better. Third, when someone tells you that something can’t be done, don’t simply accept it - critically evaluate the “why”. They may be right - but you might also be the one to prove them wrong. Fourth, remember that jealousy results in wasted energy. Don’t get angry about what others are doing. Instead, learn what makes other people successful. Approach the world from a “perspective of plenty” instead of scarcity, and you will find that you attract people with a similar mindset. We all have something to contribute. And finally, remember how much of a privilege it is to practice medicine. You’re doing this for a reason! Your patients come to you because they trust you – don’t ever make them regret it. Helping to convey the role of key media figures with the growth in telemedicine/telepsychiatry.